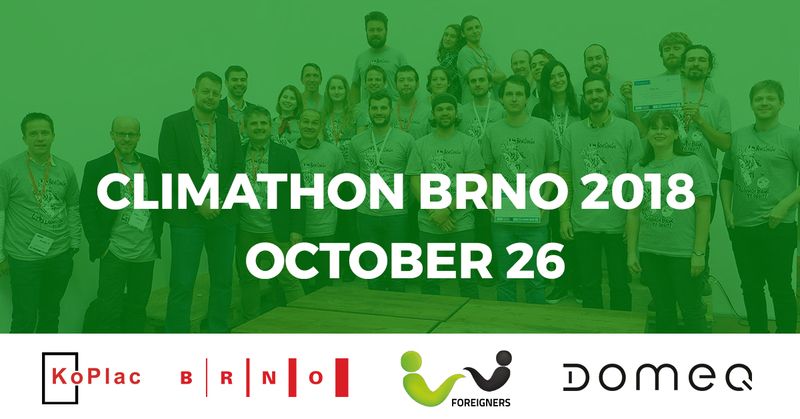 Climathon Brno is a 24 hours global 24-hour climate change hackathon which will take place simultaneously in major cities around the world on 26 October 2018. 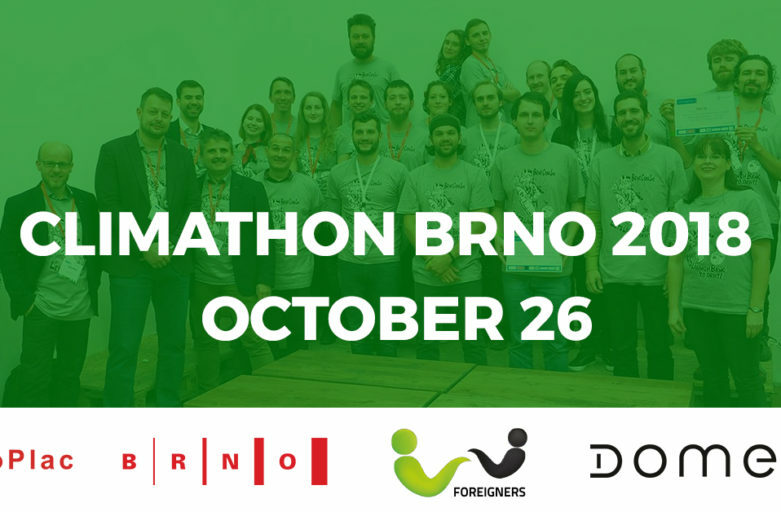 Climathon Brno is glad to organize the event and find the solutions to fight the climate problems in our beautiful city. The challenge contains two parts. The primary challenge should be an evaluation of mainly meteorological indicators, taking into account the changing climatic conditions on Earth . The city of Brno will provide data from meteorological stations that are managed by the ČHMÚ or the city itself. The measured values include NO2, NO4, SO4, CO2, Ozone, PM2,5, PM10, dust and meteorological indicators: wind velocity, max. wind speed, wind direction, maximum wind direction, temperature, pressure, humidity. The challenge is to analyze the data and find the deviations. In a second part, the challenge will be to assess the development of emissions during the period under review (data coverage for almost 20 years). The assessment can disclose anomalies that have occurred and when comparing the time series, it is possible to develop a predictive model for the territory of the City of Brno. The monitored indicators may be comparable to developments at a higher territorial level, e.g. with state or regional values. In order to strengthen its climate resilience, Brno first needs to identify its climate hot spots, where citizens, crucial infrastructure and other assets are at risk. Based on the crucial data evaluation and prediction model, Brno can start building apt mitigation and adaptation strategies. 2. How can we create green buildings and green community spaces? Sustainable or green buildings are an outcome of a design philosophy which focuses on increasing the efficiency of resource use — energy, water, and materials — while reducing buildings’ impacts on human health and the environment during the building’s lifecycle, through better siting, design, construction, operation, maintenance, and demolition. Even though green buildings are interpreted in many different ways, a common view is that they should be designed and operated to reduce the overall impact of the built environment on human health and the natural environment by (a) efficiently using energy, water, and other resources, (b) protecting occupant health and improving employee productivity, and (c) reducing waste, pollution and environmental degradation. • Which part(s) of the city would be suitable to build green buildings? • How would the building be designed or co-design by citizens and with occupants and why? • What would be the sustainable features in the operation of the building? Or What would make this building truly innovative and sustainable? The goal is to be able to better measure green areas in Brno by using GIS and satellite data. The Architect office in Brno would like to challenge you to create a system which allows measuring green areas in an urban environment of our city. The challenge includes defining what a green area is and to also find a solution how to measure that area. For this challenge, we will provide you with GIS and satellite data. 4. How can the city centre of Brno become car-free? Introduction to the challenge: Give an overview of how the traffic and the parking situation is like today and what problems in the city are linked to this. Describe what the exact problems are, related to privately owned cars (POV), which should be solved. Participants should develop a strategy how the city centre could become car-free until 2020. Participants can look to other cities like Bologna or Oslo which can provide case studies for such an endeavour. What lessons can be learned from cities which already have a car-free city centre? What partners does the city need to implement such a strategy and how can the city work together with citizens to reduce existing anxieties and concerns? An active collaboration with citizens will be crucial. Making the city centre car-free is more of a cultural than a logistical or technical challenge. Friday 26.10, the registration will start at 18:00 am. The event lasts for 24 hours. Students, start-ups, entrepreneurs, citizens, technical experts & app developers and maximum is 50 participants. Copyright © 2019 KoPlac. Theme: Himalayas by ThemeGrill. Powered by WordPress.